Our fettuccine is made daily in our Quincy Pasta Factory, using only the finest ingredients. Serve with one of Alfredo's Authentic Sauces and watch it disappear! All of our retail stores (Quincy, Norwell, and Canton) offer customers a chance to experience the look, feel and smells of an authentic Italian market. Alfredo's retail stores feature the products we make at our factory. 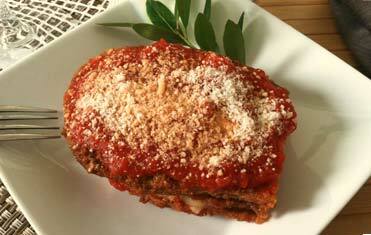 Our freezers are filled with our spectacular line of Italian Foods products. Visit our stores today! Our Ravioli filling is a freshly blended combination of ricotta and parmesan cheese, eggs and selected spices. The Meat Ravioli filling is also a freshly blended combination, containing lean beef, Ricotta, aged grated cheese, bread crumbs and spices. Our Ready-to-Bake entrees, such as Stuffed Shells, Lasagna, Eggplant Parmesan, Ziti with Broccoli & Chicken, Sausage or Chicken Cacciatore and Meatballs in Sauce come in disposable aluminum trays. All you need to do is defrost and bake!! Time tested recipes from years gone by, Alfredo's Ravioli is filled with a rich blend of Full Cream Ricotta Cheese, Imported Parmesan, Imported Romano and other fresh ingredients. Alfredo Aiello Italian Foods Inc. was founded in Quincy, Massachusetts in 1967. Our Italian Food Factory began making pasta items for sale to restaurants, supermarkets, and in our retail store located in the front of our factory. Today, we offer you our selection of freshly made Italian pasta, ready-to-bake favorites and specialty items in our three retail locations and ship-to-home service. Get in-store pricing for all products sold at our retail locations in Quincy, Canton and Norwell. Three locations on Boston's South Shore! 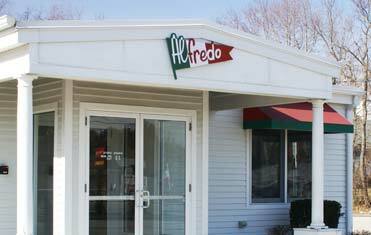 Alfredo's is conveniently located in Quincy, Canton and Norwell. 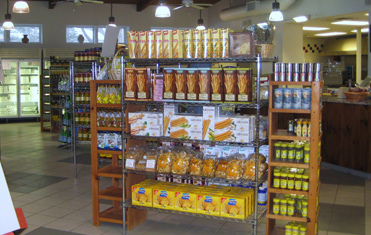 All locations offer the same fantastic variety of Alfredo's products, imported Italian foods and more! We'll ship our Italian Food products anywhere in the continental USA! Frozen items ship via Federal Express on Tuesday of each week.